WALKING ON ANY ROOF IS DANGEROUS. SAFETY MUST ALWAYS BE TOP PRIORITY WHEN PERFORMING MAINTENANCE ON YOUR ROOF SYSTEM. ALWAYS USE ALL FALL PROTECTION AND PERSONAL SAFETY EQUIPMENT REQUIRED BY OSHA AND OTHER REGULATORY AGENCIES. FAILURE TO FOLLOW THESE REGULATIONS CAN RESULT IN SERIOUS INJURY OR DEATH. YOU MAY ALSO BE SUBJECT TO SUBSTANTIAL FINES FOR NONCOMPLIANCE. Always use extreme caution when walking on roofs with steep slopes, near roof edges, or on roofs that are wet or covered with ice or snow. Insure that all maintenance personnel are adequately trained in safety procedures and that all safety equipment is in proper working condition. Use fall protection and other safety equipment as required. Do not walk on roof flashings such as gutter, rake, hip or ridge flash. Do not walk on Light Transmitting Panels (LTPs). They will not support a person’s weight. Guard all LTPs and roof openings. Step only in the panel flat directly on or in close proximity to a supporting roof structural. 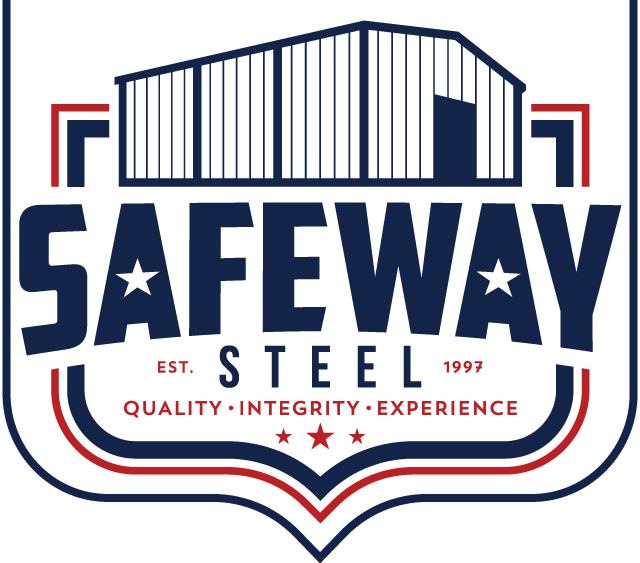 Your new standing seam roof (SSR) is designed to provide years of protection with very little maintenance. However, no roof is immune to severe weather or completely maintenance free. To keep your roof performing as it should, a comprehensive maintenance program must be implemented. After a fire, vandalism or known damage to an adjacent roof area. Exposure to severe weather conditions, including high winds, hail or abnormally heavy rains or ice and snow. Items to check for after high winds include: Debris from nearby trees, loose flashing or other roof components, punctures from falling limbs or loose flashing, and loose fasteners. After a hail storm, check roof for punctures, damaged trim, and loose fasteners. After abnormally heavy rains, check roof and gutters for ponding water. Also check all roof curbs, roof penetrations and any special trim conditions to insure that water is not ponding upslope from these areas. Check trim and plumbing pipes for damage from moving ice. Check for loose fasteners at trim and endlaps. Replace stripped-out fasteners by removing existing fastener; apply urethane sealant into hole; install an oversize, long-life fastener into hole. After other trades have been on the roof for any reason. Inspect the roof for damage caused by workers including chemical or solvent spills, scratches in the paint or Galvalume coating, excessive foot traffic and punctures. Make sure that any debris or scrap left behind by the workers is removed from the roof immediately. Avoid using cutoff saws and welding equipment over the roof. In cases where this is not possible, the roof must adequately protected. A fire cloth is recommended. Items such as drill shavings, wire, metal scrap and other debris can corrode and damage the roof. Sharp pieces of metal, such as those left by a nibbler, can stick in a worker’s shoes and scratch the paint as they walk on the roof. Mortar or concrete will etch the paint or Galvalume coating. Roof panels in areas where there is a possibility of any masonry product being spilled on them should be protected. In the event that the panels do have a masonry product spilled on them, they should be cleaned and the panels rinsed. Should any solvent or chemical be spilled on the roof, clean up immediately and thoroughly rinse the affected area. Panels should be cleaned with mild detergent. Never allow workers to “fix” leaks by applying caulk, elastomeric membranes, plastic roof cement, etc to the roof surface. This is never a long term solution for repairing a leak. Surface applied caulks and compounds will eventually lose their bond to the metal. This will allow water to become trapped between the repair material and the roof panel, which will cause severe corrosion. Leaks at panel or trim joints, should be repaired by disassembling the metal joint and reinstalling the proper sealant between the metal layers. Leaks caused by roof punctures must be evaluated on an individual basis. In some cases, the affected roof panel may need to be replaced. Always consult the roof manufacturer before initiating repair work. The manufacturer can give you helpful information as to how to make the repair and can give you a list of “Certified Installers” in your area that you can contact about performing the repair work. Keep foot traffic to a minimum. Heavy foot traffic can cause ponding on low pitched roofs. This is particularly true just upslope from the eave and at endlaps. Always walk in the flat of the panel near a supporting roof structural. Do not walk on trim or in gutters. On bare Galvalume roofs, excessive foot traffic may cause black burnish marks. If regular foot traffic is planned for a roof, provisions should be made for a properly designed and installed roof walkway system. In order to limit access to the roof, roof hatches or access ladders should be locked at all times. A sign should be posted at the point of access, stating that only authorized personnel are allowed onto the roof. In addition, a log book should be kept of all visits to the roof and the reason for such visits. Do not allow anything to be installed on your roof that will cause water to pond. Keep roof free of debris and keep debris out of gutter to allow water to quickly drain from roof. Do not use wood blocking to hold equipment off of panel seams. This blocks the flow of water and holds moisture. Also, if the wood is treated, it may contain salts or copper sulfate which will deteriorate the roof, and void warranty coverage. Do not allow water to cascade onto the roof from an adjacent roof. Do not allow rooftop AC units or evaporative coolers to drain onto the roof. The condensate from AC units contains dissolved copper ions with will cause galvanic corrosion. The water from evaporative coolers contains high salt concentrations which will cause severe corrosion. Use PVC pipe to carry the condensate to the gutter. Anything that traps or holds moisture on a roof, will cause premature corrosion. Excessive ice and snow should be removed from roof immediately to prevent damage to roof and possible collapse. Do not use metal tools to remove the ice or snow as this can damage the paint and/or Galvalume coatings. Also, be careful around plumbing pipes and flashings. Be extremely careful if your roof has Light Transmitting Panels. THESE PANELS WILL NOT SUPPORT A PERSON’S WEIGHT AND WILL BE DIFFICULT OR IMPOSSIBLE TO SEE IF THEY ARE COVERED WITH ICE AND SNOW. All additions to the roof, including but not limited to, roof curbs, pipe penetrations and HVAC units must be approved in writing by Safeway before work commences. All work must be performed by a Safeway “Certified Installer”. Never allow your roof to come in contact with, or water runoff from, any dissimilar metal including but not limited to: copper, lead or graphite. Failure to adhere to this requirement will cause your roof to rapidly deteriorate due to galvanic corrosion and will void all warranties. Common abuses of this requirement include: lead hats for plumbing vents, copper lightning rods and/or cable, copper trim, existing copper gutter that drains water onto your new roof, and condensate from rooftop AC units draining onto roof. Remove smudge marks from bare Galvalume. Formula 409 has proven to be somewhat effective. Lightly rub with a clean cloth and rinse with water. Do not rub more than required to remove smudge. No product will remove all smudge marks. Remove rust stains. Soft Scrub has proven to be somewhat effective. Lightly rub with a soft cloth and rinse with water. Do not rub more than required to remove stain. No product will completely remove rust stains. To touch-up scratches in paint (not to bare metal), clean area to be painted with mineral spirits. Rinse thoroughly and dry. Using a small artist’s brush, lightly apply the absolute minimum amount of touch-up paint required to fill the scratch. Use only touch-up paint supplied by manufacturer. Walk in the flat of the panels near the structural supports. Keep roof, gutters and downspouts free of debris. Inspect roof for damage after heavy storms. Caution workers on roof to protect against roof punctures. Remove excessive ice and snow accumulations as necessary. Inspect and reseal as necessary all roof curbs and other penetrations with urethane sealant. Always get manufacturer approval before making any modifications to the roof. Always use long life fasteners and stainless steel rivets on the roof and trim. Repaint any areas that are susceptible to rust as required. Allow your roof to be neglected. Walk on the panel ribs or on flashings. Allow debris of any kind to collect on roof. Allow damage from storms to go undetected and cause ancillary damage. Drop sharp or heavy objects on roof. Use metal shovels or other tools that can scratch the paint or Galvalume coating on the panels. Use plastic roof cement or butyl or silicone caulk anywhere on the roof. Assume that minor additions or modifications will not cause any problems. Use zinc plated fasteners or carbon steel rivets. Allow rust or rust stains to build up on roof.